More business owners are recognizing need of office space to be of impressive standard. Its importance is in impressing clients, and customers, but the well maintained, clean and well designed office space which is uncluttered, and well organized helps in increasing morale of employees and the productivity of staff. This means you need to plan the office space as it ensures the workplace fits the purpose and is visually aesthetic and appealing. Design the office as per the users and their needs. This is foremost thing to do in office interior design. Like if this office for computer programmers, creative people, content writers, KPO office or BPO office, Accountants, HR or marketing. Different people have different needs. Like architects will need large desk for working on designs, accountants may need better storage space, content writers need desk which is sound proof etc. The walls of the office which is professional work such as accounting, marketing etc. need professional looking walls. Like pastel shades, or neutral and soft shades will be better, but if it is art design company then decorative walls will be good. Soft color like light beige or the pale blue color is good and it will be complimenting to any artwork that you can hung on walls. Flexibility is important: the interior design must offer easy change and flexibility. Make movable bookshelves, filing cabinets, moving furniture rather than permanently fixing the partitions. The Office fixtures which are easy in moving and disassemble are better for shifting and redesigning office when needed. If business grows you are able to make space if things can be moved around. 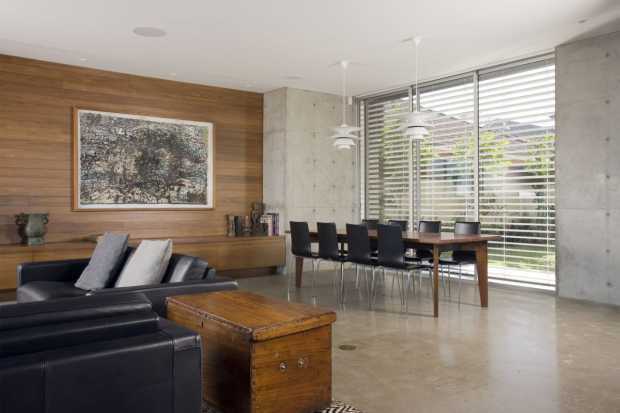 Fifth wall: the floor is considered as the fifth wall which must be versatile, attractive and must be appealing. It must be scratch resistant, durable and stain resistant. 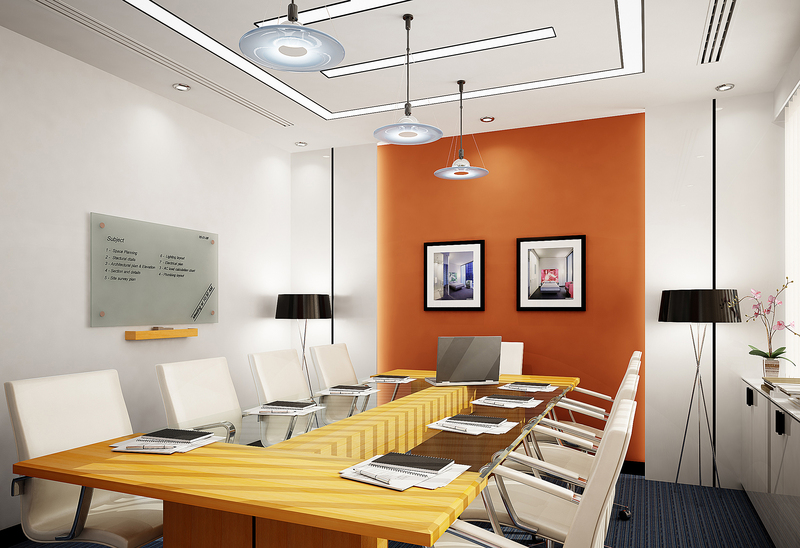 Need of the meeting rooms: meeting rooms take lot of space and impose expense because of design an furnish. Break out space is effective and appealing. Meeting rooms needs partition, windows, and decoration, proper ventilation for cooling and heating. Use more break out space helps in open and communal space which is appealing to client and even employees. 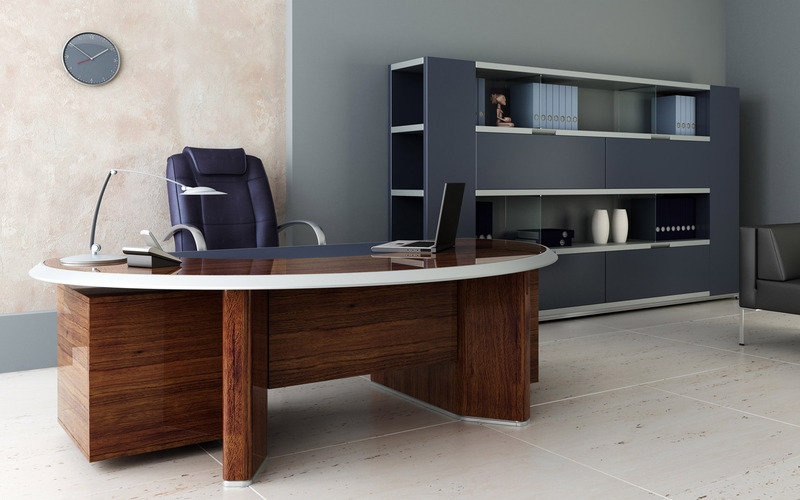 Any office interior will look impressive when you hide clutter. You must have organized plan of sittings and workstations. Install shelving, cabinets which will help in organize clutter. Add innovative and motivational quotes on wall which inspires the employees. The office space must be airy and offer easy mobility. Office interior must not be complicated like a maze, but simple, functional and effective, at same time must be interactive. Home Office and Front Entryway Designs by DP Homes : Their entryway designs will welcome your guests into your home. 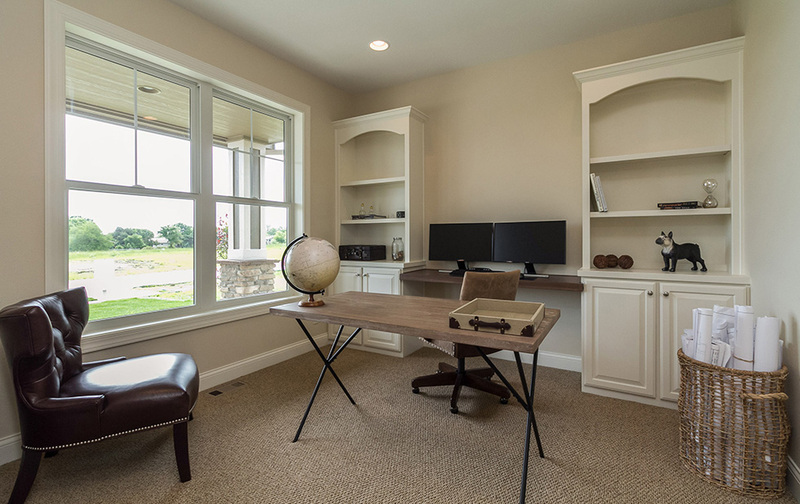 The custom options include coat closets, stairways, and home offices. This tips surely make office looks more graceful and attractive where every people will surely attracts from the interior design of office. More commercial spaces are incorporating natural/ organic elements to make the office environment feel less clinical. 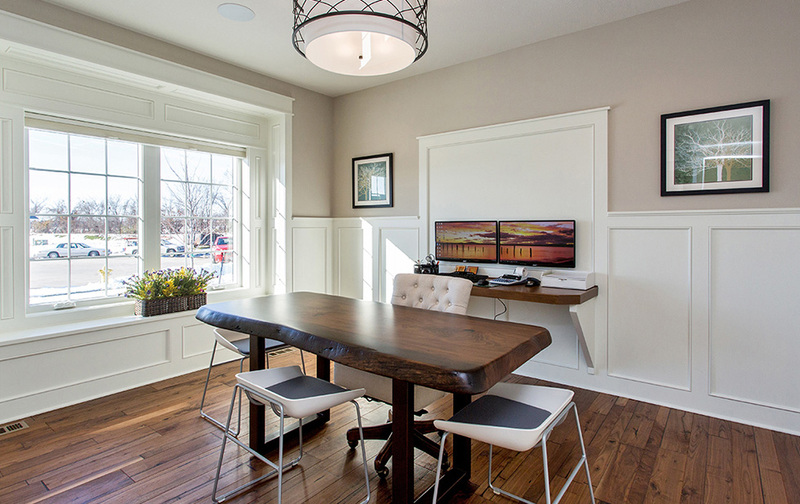 Veneer in cabinets or wood tabletops are a great way to start. Better office decoration plays a big role to impress a client. Most importantly, it is very important to keep the office neat and clean. If a client does not like your office at the first glance, then there is a chance of loosing that client almost immediately. Some really useful professional tips people can use to make their office interior look better and decent.